WYRH an African grey or a macaw? Person 1: An African Grey. WYRH A fast car or a van? Would you rather have a book about Cockatiels or the latest book about bringing up a child? Would you rather have a television only in black and white or a television without sound? Television only in black and white. WYRH a tablet and flip-phone or just a smartphone? A tablet and flip phone. WYRH a piece of chocolate or a few gummy bears? WYRH a professionally painted portrait session for your bird(s), or a professional photography session? 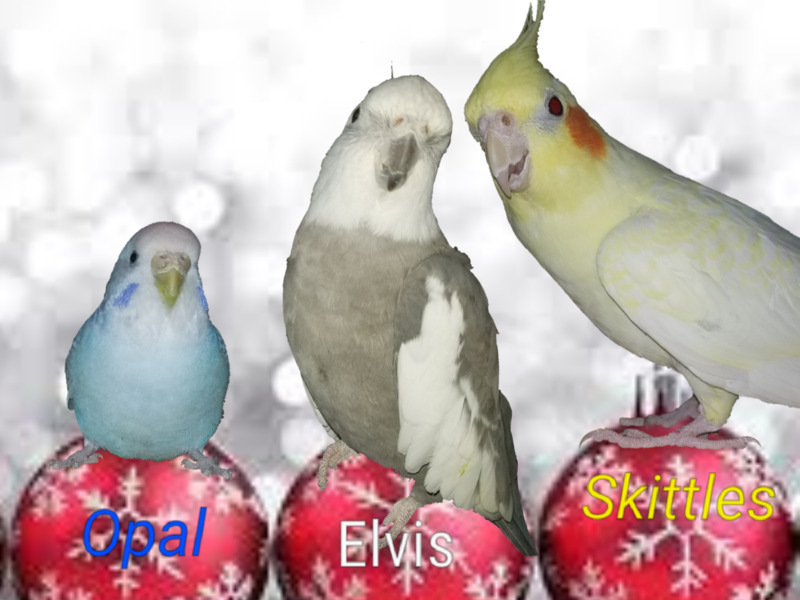 Professionally painted portrait of my birds. WYRH some pumpkin bread or some banana bread? Oh come on!!!! !😂😂 Thats CRAZY HARD! UUUGGHH. I guess since I haven't had banana bread for so long, pumpkin bread! Makes my mouth water just thinking about it. YUUUM!!! WYRH a free trip to Canada or a free trip to Italy? WYRH 1 parrot from a species you're not too fond of who adores you, or a whole flock of every parrot you like who aren't tame? Free trip to Italy. Love Canada and have been many times. Not so with Italy! WYRH a $100 gift card to Amazon or restaurant of your choice? Would you rather have pumpkin pie or pecan pie? Last edited by smbrds; 09-15-2017 at 01:45 AM.